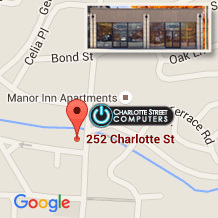 Thank you for choosing Charlotte Street Computers for the Apple iPhone Battery Replacement Program. As you can probably imagine, we’ve had hundreds of customers reach out to us seeking a battery replacement, but supplies are very limited and arrive in small batches. The battery discount to $29 for qualifying iPhones ends December 31st 2018. At that time, batteries for most iPhone models will increase to $49. The exceptions are the 2018 iPhone X models (Xs, Xs Max, and Xr) which will increase to $69. Considering that Apple has not given us enough batteries, even though we are staffed and have the capability to get to everyone, we may not get to you in the given time frame unless something changes. Please know management at Charlotte Street Computers continuously reaches out to Apple for more inventory to meet the demand in WNC. In preparation for your appointment, please make sure that you know your Apple ID and password. This is so that we are able to turn off ‘Find My iPhone’. If you want you could turn it off yourself and backup your device, or if you do not know how you can call us (828-225-6600) to schedule an appointment (fees will apply). If you drop your phone off before noon, we offer an expedited service for an additional $20.99 to have your phone completed by the end of the business day. If you do not want to participate in the expedited service, plan to be without your phone for 1 business day. Once your appointment is created, if you need to cancel or reschedule for any reason you must do so at least 1 business day before your appointment date. Failure to do so will cause your battery to be released back into our main inventory and allocated to another customer on the waiting list. You may not be contacted within the specified time for the discounted battery.